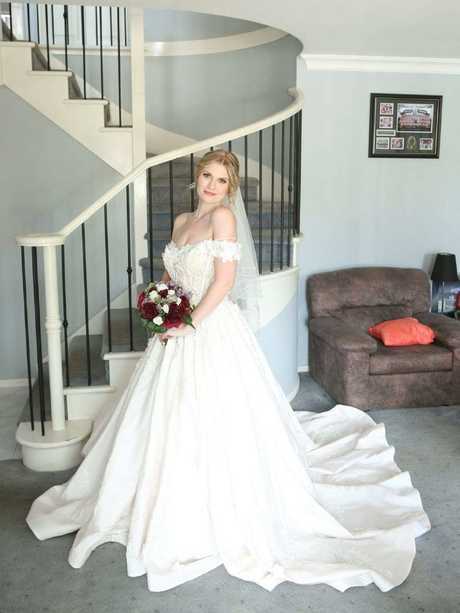 Ebony O’Connor was so determined to lose weight she purposely bought a size 8 wedding dress as motivation to help shed the kilos before her big day. Ebony O'Connor was so determined to lose weight that she purposely bought a size 8 wedding dress as motivation to help shed the kilos before her big day. 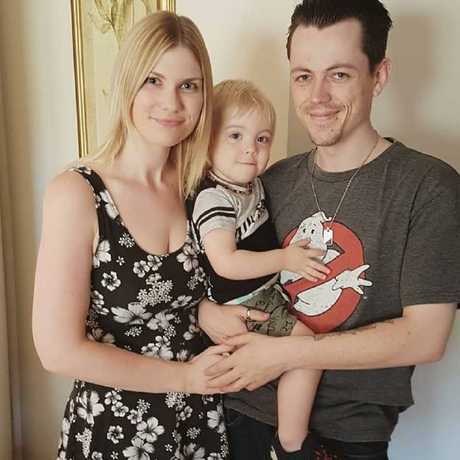 The 25-year-old Melbourne mum always struggled with her weight, particularly during her teenage years, but when she gave birth to her son two years ago she tipped the scales at 85kg - her heaviest yet. But after losing 31kgs, she was able to slip into her gown, leaving her guests amazed. "Honestly, I was disgusted to look at myself in the mirror. I couldn't believe I had gotten so big," Ms O'Connor said. 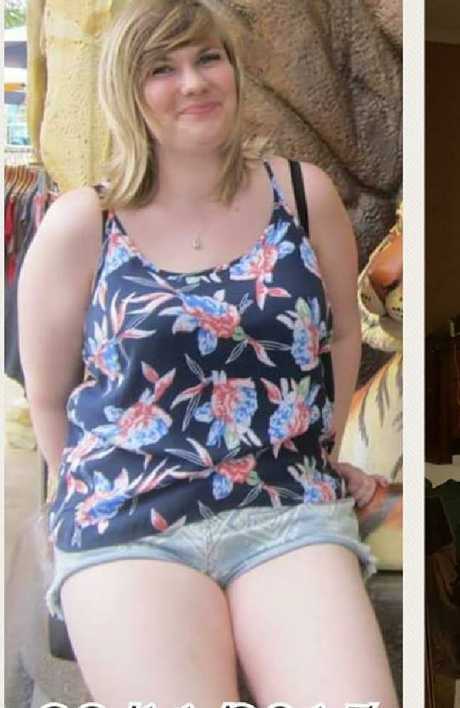 Ebony O’Connor was a size 18 and weighed 85kg at her heaviest. When she got engaged in September 2017 she became even more determined to lose the weight and reset her entire lifestyle habits. "It just made me feel like a princess. It was beautiful." She had visited five bridal stores in Melbourne before settling for her $2000 off-the-rack dream dress from Jullia Bridal. 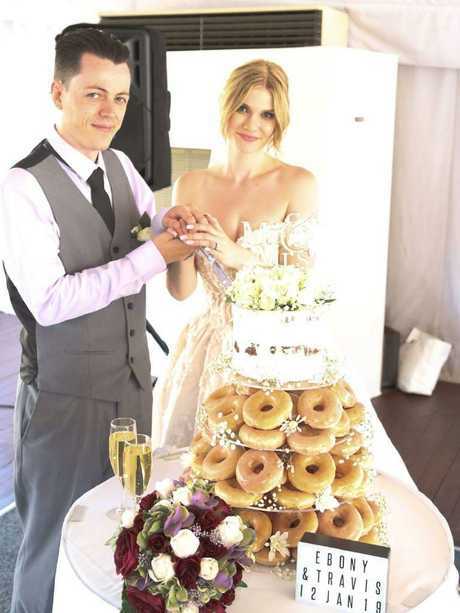 She purposely bought a size 8 wedding dress as motivation to shed the kilos. 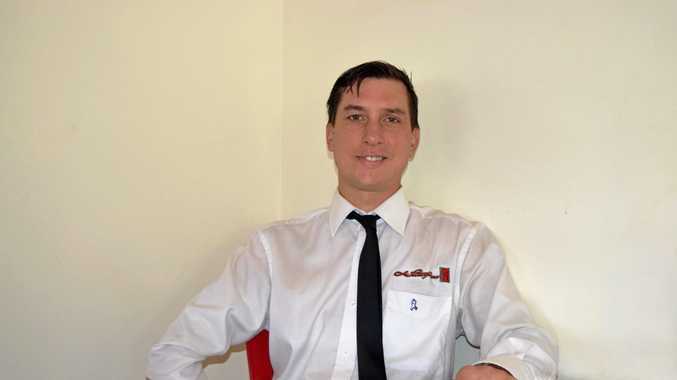 "I had already lost 5kg previously, but this time I knew I would have a lot more to lose. I made a promise to myself that 'I will fit into this dress.'" 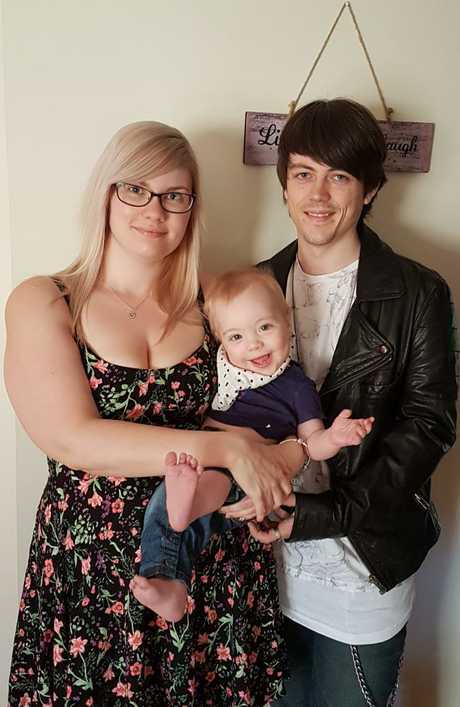 Despite having never exercised or trialled any diets previously, the university student and mother-of-one said she was confident she would achieve her weight-loss goal. 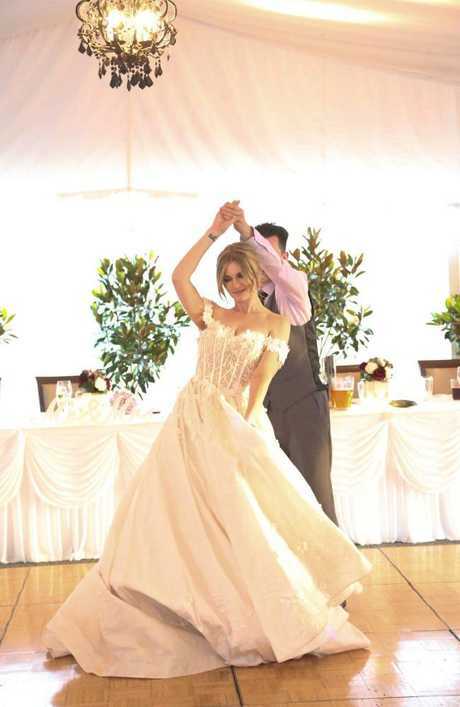 The stunning bride left her gusts speechless after her incredible weight-loss transformation. The now 54kg mum managed to kick her fast-food diet, mainly consisting of daily McDonald's and KFC meals, to healthy home-cooked meals. "I gained so much knowledge and education about what food is good for your body, such as things about calories because you don't realise how many calories are in the fast foods you're eating, and you can easily have something healthier that's got a lot less calories that fits into your daily intake.," she said. Ebony with husband Travis and their son Kauis just before New Year’s 2018. Ebony’s daily diet had mainly consisted of fast food. "Even my husband and son benefit because the recipes from the program are family friendly." Ms O'Connor went on to shed 31kg. 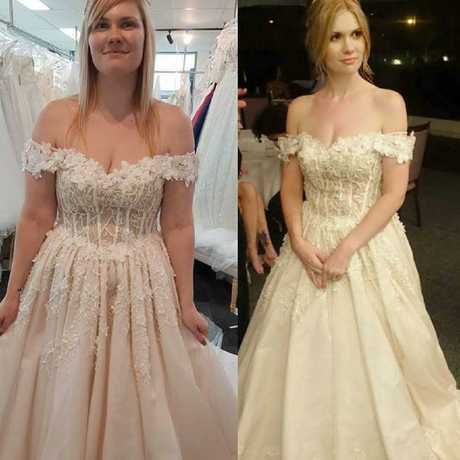 It not only changed her life but meant she was able to fit into her dream dress in time for her wedding day on January 12 this year. "I had never smiled so much in my life, and the feeling of confidence in my body could not be beat." 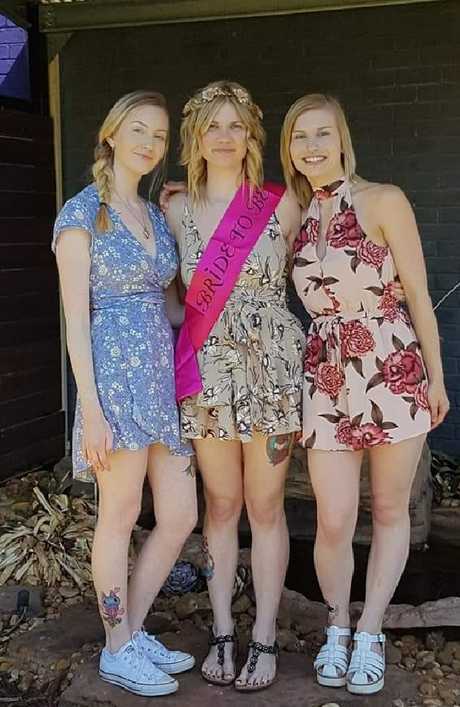 Ebony on her bridal shower with her sisters Sharni (left) and Brianna (right). When she stepped out in her princess-like bridal gown she was praised with endless comments from guests on how beautiful she looked. "They couldn't believe how much weight I had lost," Ms O'Connor said. "I cried when I tried my dress on. I couldn't believe I was looking at myself. It's a great feeling and sense of accomplishment," she said. 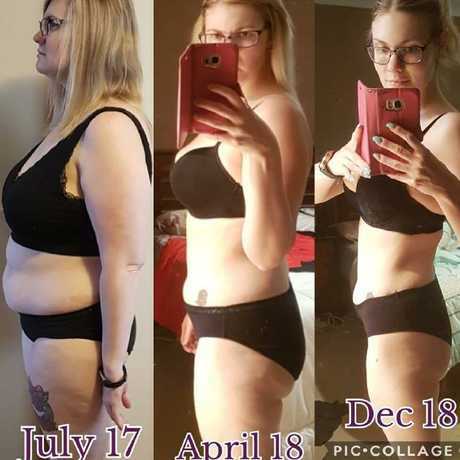 Her husband Travis, also a big supporter during his wife's journey, was blown away by not just her physical transformation but her sheer determination. "Travis has been my number one supporter from day one of my journey, and I couldn't have got where I am today without his love, support and encouragement," she said. Clothes shopping was one of the hardest things for Ebony. "Every time I would go shopping for an event I would always leave crying because I couldn't find anything that fit," she said. "Both my younger sisters are size 10, and even going shopping with them, they'd walk out with various items while I would go a whole day and not get one thing, and that was very hard." 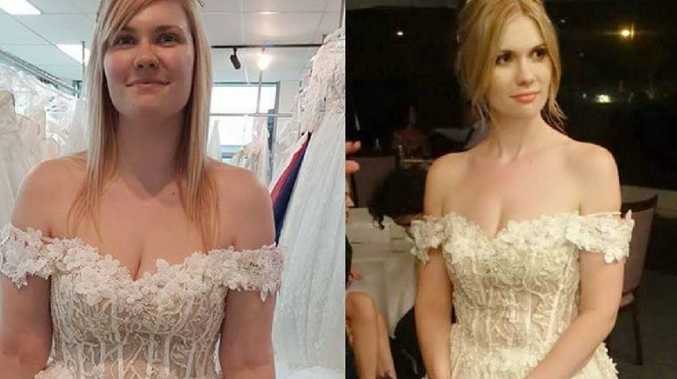 She said she felt like an absolute princess in her dream dress after having shed 31kg since beginning her transformation in 2017. But now she has gone from feeling depressed and embarrassed about her body to feeling so much more confident. She said the key was to be active, consistently. "I was making sure I kept active everyday from pushing the pram or doing a workout when Kaius was asleep. I found the upper body and resistance training and cardio on The Healthy Mummy app also a big help," she said. She said her husband Travis was her biggest supporter and couldn’t have done it without him.